An African-American whose family has declared themselves Jewish, Zab became the undisputed world welterweight champion on February 5, 2004, when he demolished Cory Spinks in the 9th round of their title fight in St. Louis. Judah had lost a previous bout with Spinks on a decision, but this time he left nothing to question when he first knocked Spinks down, then blasted him with a barrage of punches so decisively that the referee stopped the fight. Zab was well ahead on the cards of all three judges when he won on a ninth round TKO, running his record to 33-2 with 24 knockouts. Judah then lost his crown on January 7, 2006 when he was defeated in a unaimous decision by Argentinian Carlos Baldomir at Madison Square Garden. Trained by his father Yoel Judah, a former world champion kickboxer, Zab reached his championship pinnacle by consistently showing himself to be a hard-hitting, crowd-pleasing pugilist. Judah's hand and foot speed were particularly outstanding. Zab's trainer, Lou Duva, always thought that Judah had greatness within him. "I had the same feeling when I took over Pernell Whitaker as an amateur," said Duva. "Zab can do anything Pernell Whitaker could, and maybe better. 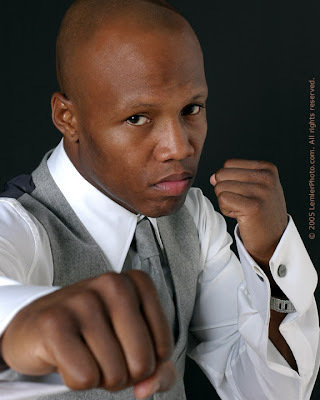 Zab Judah is going to be a great champion."